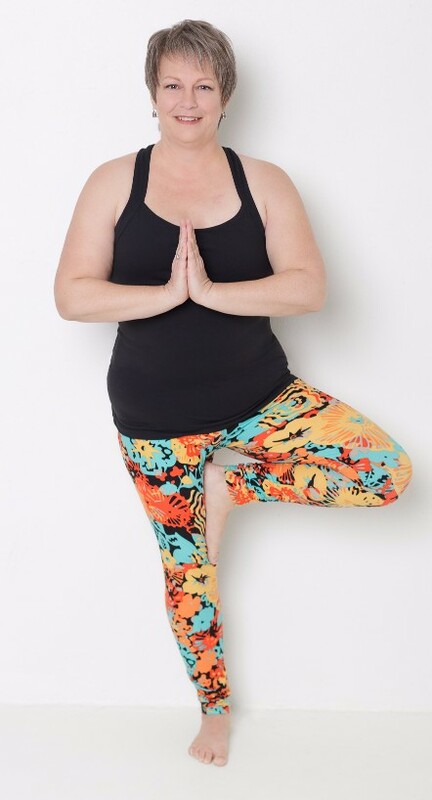 I teach a weekly Cancer Wellness yoga classes at a local studio as well as a live, online class every Sunday night for survivors from all over the country. Most of the poses I use are inspired by Tari’s book. She outlines 10 reasons why she believe’s yoga should be a part of every survivors care plan. I wholeheartedly agree! 1) Common cancer treatments like chemo, radiation and medications introduce a host of toxins into the survivors body. Yoga detoxifies the body. 2) Common cancer treatments weaken the body by attacking fast-growing cells, including healthy fast-growing cells in our bones and muscles. Yoga strengthens the body. 3) Common cancer treatments like surgery and radiation often create scar tissue which limits range of motion and flexibility. Chemo and hormone therapy can create joint stiffness. Yoga increases range of motion and flexibility. 4) Surgeries for cancer often weaken parts of the body. When that happens we recruit other muscles to regain movement which can throw off proper posture. Yoga keeps the spine strong and corrects posture. 5) Our immune system is very complex and incorporates many organs and systems in our body. Cancer treatment often compromises multiple systems and organs at the same time. Yoga strengthens the immune system. 6) Side effects from treatment can cause a previously active person to become sedentary. Sedentary lifestyles do not promote healing. Yoga is a safe, gentle way to regain an active lifestyle. 7) Cancer treatment side effects often cause pain. Yoga helps manage pain. 8) Hearing the words ‘you have cancer’ are usually the scariest words a cancer patient has ever heard in their lifetime. Anxiety about the future can become a unwelcome constant companion. Yoga helps manage fear and anxiety. 9) Many cancer survivor’s bodies look different after treatment. Some have lost hair, body parts, muscle tone, etc. Some feel betrayed by their bodies or are ashamed of how they look. Yoga enhances body image. 10) A cancer diagnosis and treatment can be extremely stressful and traumatic. Once treatment is over, survivors usually fall into one of three categories: survive with impairment, survive with resilience, survive by thriving. Thriving occurs when a traumatic event becomes a pivotal point in the person’s life, spurring on positive change. The survivor accepts that things may never be the same but that the ‘new normal’ can be better than the ‘old normal’. Yoga enhances empowerment and well-being. Pretty convincing! If you’re a cancer survivor who is curious about yoga, I invite you to join our Sunday evening live, online Cancer Wellness yoga class. I use video conferencing software called Zoom, which enables us to see and hear each other, just as if we were all in the same room together. All you do is log on a few minutes before class starts via your computer, tablet or smart phone. Yay for technology! Survivors and caregivers, you can REGISTER HERE for class. Friends of survivors, GIFT A CLASS HERE via the donations tool. If you’re gifting to a specific person, please provide their name and contact info. If you’d like to donate to any survivor, I have a long list of people who will be grateful for your gift! Yoga has saved me many times in my life. Most recently, through cancer. I hope you come to love it as much as I do. In related news, I’m thrilled to announce that I was asked to teach a portion of Living Beyond Breast Cancer’s Reach and Raise fundraising event in Denver on September 17th. Join us for Yoga for a Reason if you’re in that neck of the woods!